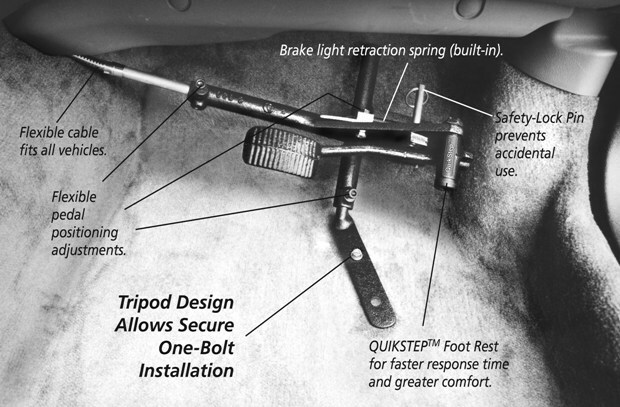 Standard factory power brakes require 20 foot-pounds of pressure to operate. Drive-Master’s low-effort modification reduces the required pressure to 11 foot-pounds. The no effort modification reduces the required pressure to 7 foot pounds (these statistics will vary slightly depending upon model of car or van). Available for all American vans and most American and foreign cars with factory power brakes. Most full-sized General Motors and Chrysler (Dodge/Plymouth) cars, 1/2 ton Chevy (G10), and Dodge/Plymouth (B100) vans have heavy duty (tandem) power brakes for no effort braking modifications. Factory power brake units sent to Drive-Master will be modified to low or no effort and return shipped within 24 hours. 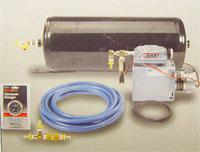 Provides emergency power assisted braking if power brake system fails due to engine failure or low vacuum. Test circuit is included so backup system can be periodically checked by customer. Audio and visual alarms alert driver to power brake system failure. Automatically activated if engine vacuum drops below a satisfactory operating level. Fits all American vans and most full or mid-sized cars. Does not require low or no-effort braking modification. For use by driving evaluator to give a new driver more confidence until experience with vehicle brings complete driving competence and self-assuredness. Removable at any time thereafter. Usually required when driving from a wheelchair. Conveniently located touch control has on/off switch and warning light. 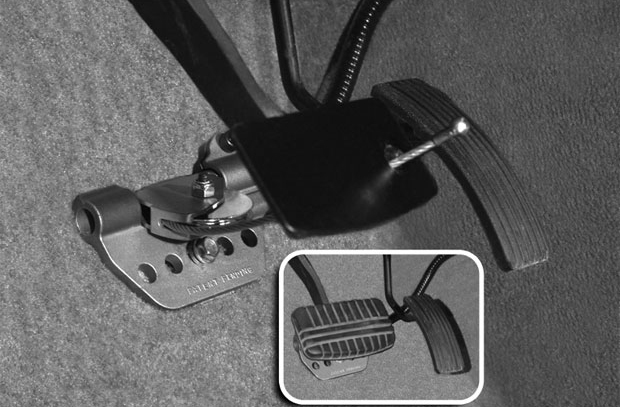 Manual parking brake extensions also available. All Braking Modifications require an Evaluation by a State C.D.R.S. Certified Driver Rehabilitation Specialist or you must already have a Restriction on your Driver’s License for Mobility Equipment before we can install any Driving Modifications or Controls in your vehicle. For more information on a CDRS contact your Mobility Consultant at Drive-Master or visit www.aded.net.